In its second quarterly statement, the Council of Financial Regulators said it would closely monitor lending to small business and urged banks to maintain the supply of credit to the sector. 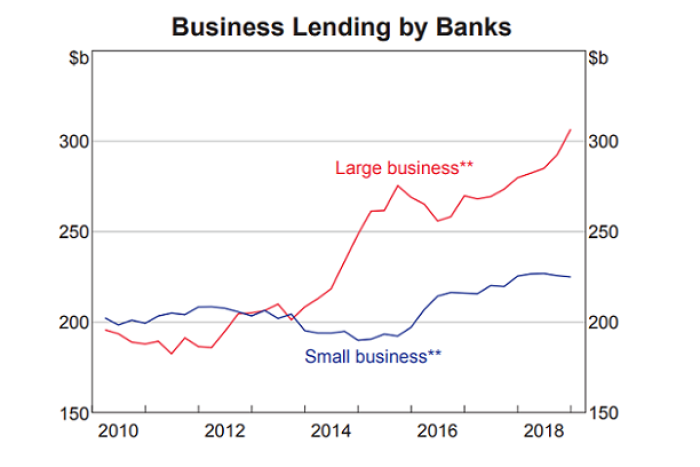 New lending to small business has slowed noticeably over the past year, and the situation was being complicated by the dependence of small business owners on residential property as collateral for loans, the council noted. Roughly half the $220 billion of small business loans currently outstanding are secured against houses and apartments. The council — chaired by Reserve Bank governor Philip Lowe and including representatives from the Australian Prudential Regulation Authority, the Australian Securities and Investments Commission and Treasury — are influential in regulating banks’ lending behaviour through their control of macroprudential policy which can be used to tighten or loosen available credit. “For many small businesses, personal and business finances are intermingled. As a consequence, the higher standards that lenders apply to personal borrowing are affecting some small business loan applications,” the Council’s statement said. 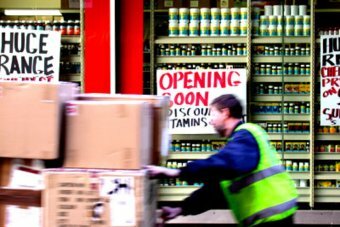 “Further falls in housing prices could constrain small business borrowing, given that around half of loans to unincorporated businesses are secured by residential property. However, the regulators found while housing markets remained weak, falling prices did not pose a threat to the broader economy. It found slowing residential lending was largely due to a decreased appetite for borrowing, particularly from investors, as well as a more stringent scrutiny of borrowers’ expenses and other liabilities. “The improvement in banks’ lending standards — including a lower share of high loan-to-valuation ratio lending — means that households and lenders generally are less vulnerable to falling housing prices than in the past. NAB’s Kieran Davies said, while the regulators appeared comfortable, they may need to change their policy settings if lending continues to dry up. “Our view is that monetary policy remains the first line of defence against the slowing economy as we factor in the RBA cutting the cash rate to 1 per cent over the coming months, but that prudential policy might be tweaked if the supply of credit tightens further,” Mr Davies said. PREVIOUS POST Previous post: How Small Businesses Can Impact The Economy Of Developing Country Like India?